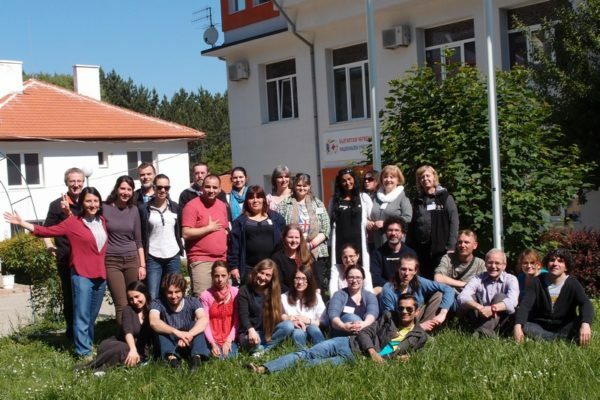 For 18 months, two of ATD Fourth World’s Volunteer Corps members have been meeting people and groups in South East Europe, to learn about initiatives they take alongside people living in extreme poverty (in connection with the Forum on Overcoming Extreme Poverty). 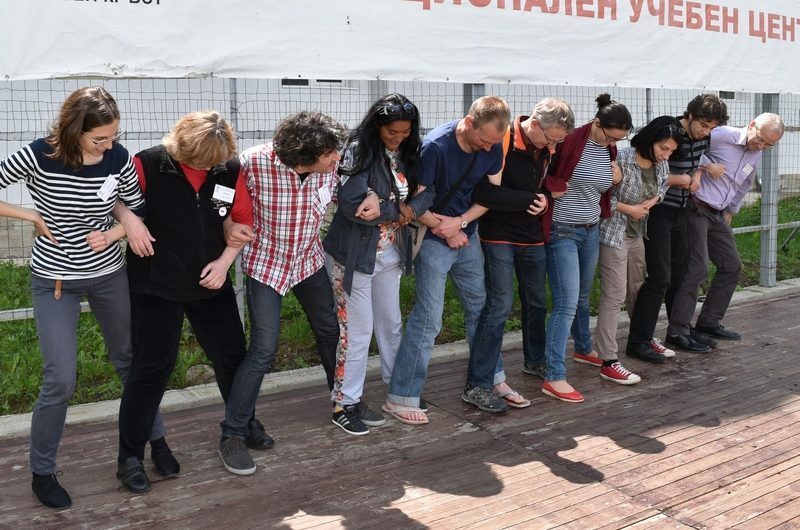 For almost a year, these volunteers have been living in Sofia, Bulgaria, where they are involved in a local initiative to build a sense of community with the inhabitants of a disadvantaged neighbourhood in Plovdiv. 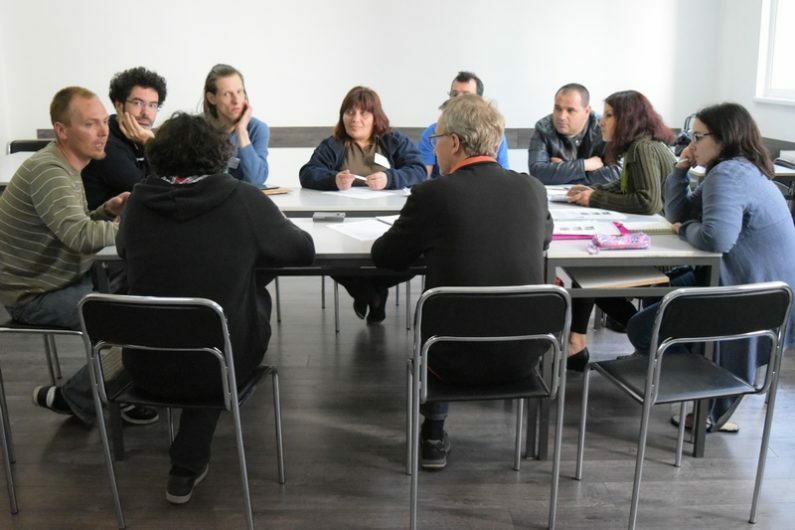 In order to start a dialogue and to share experiences and questions among the people and groups they were meeting, a workshop was organised in Sofia, on the theme “Towards those still missing”, on 25-29 May 2016. How can people reach out to those who have the hardest lives? How can we make sure that their experiences are taken into account? 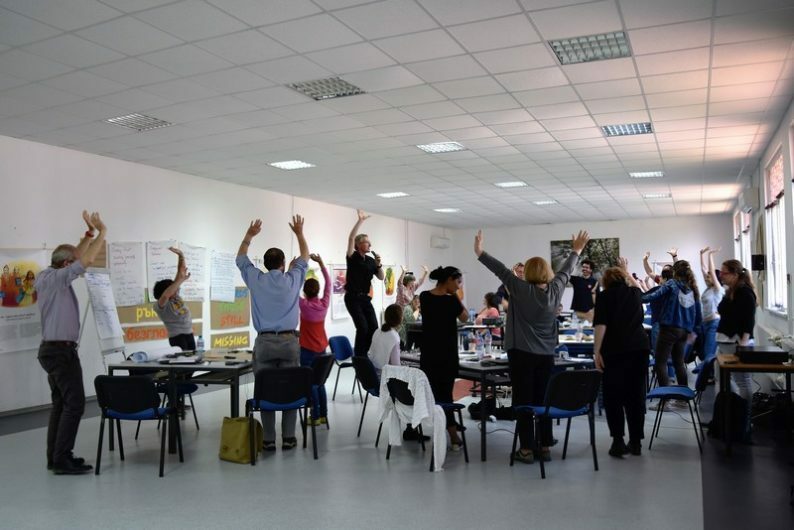 To expand on these questions, 26 participants joined the workshop from Bulgaria, Hungary, Romania, Poland, the United Kingdom and they were joined by ATD Fourth World international guests. Others from Macedonia and Romania prepared for the workshop, but ended up unable to participate. All the participants act in solidarity with young people, men, women, or children whose dignity, human rights, and humanity are not respected. With others, they are looking for ways to make society not only inclusive but also people-centred. Some of them are living and working in their own communities. For several, this workshop was their first opportunity to participate in a meeting held in five languages. A portrait from Hungary showed a huge gap of misunderstanding between a judge and a mother living in a disadvantaged neighbourhood. Her struggle to search for a job led her to leave her children alone at home. The judge criticised her for this as well as for the fact that the children miss school. They are now under surveillance by child protection services. But what could the mother do when one of her sons was threatened by other children at school and was too scared to return? Trying to understand and keeping in touch are common goals for all the participants. The important thing is to build trust with people in the community. Some of the participants are part of the community, while others visit regularly. Trust can be built with “simple” approaches, such as coming to play with children, or visiting with chairs in order to sit and chat with people. For many participants, art and creative activities are crucial tools for building trust and rapport. This can mean attending cultural events or doing activities such as circus, dance, drawing, music, or theatre. All of these activities offer key moments that build trust and provide starting points to working together. We need to be present in the community if we are to understand who the most disadvantaged people are, and to learn about their needs, their potential, and what projects we could develop together. Other discussions took place about challenges participants are facing: influencing local and national policies; finding sustainable and ethical funding; communicating about their work to gain credibility and recognition; or supporting each other to persevere in our struggle against extreme poverty.